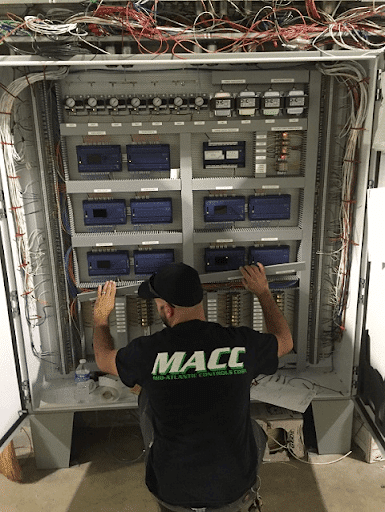 Stay in control of your facility with scheduled building automation maintenance and service from MACC. With MACC maintaining your building control system, you can focus on the core needs of your business. We offer remote monitoring and our trained team just a phone call away. 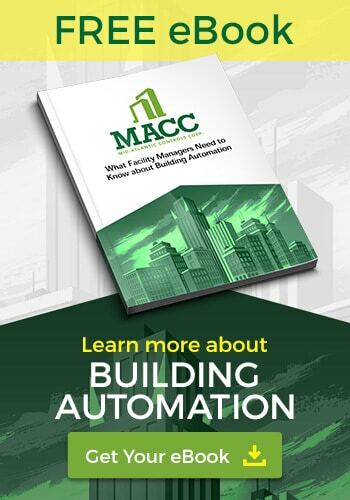 You can save more by choosing to be proactive, so don’t wait until you need building automation maintenance. Why Is Building Automation Maintenance So Important? Preserve your investment. Predictive building automation maintenance monitors your system to ensure peak performance. Reveal and correct control system issues. Real-time diagnostics detect potential issues long before they become noticeable in your operations. Identify unrelated mechanical and electrical problems. Existing machinery and other hardware connect to your system’s predictive maintenance system. Reduce system disturbances and operational interruptions. Maintenance enables you to detect problems early, making repairs quick and simple. Improve energy efficiency. Locate and resolve issues, so there’s less strain on the system. This promotes clean and efficient operation. Reduce energy costs. Predictive maintenance decreases energy costs without disrupting employee productivity. Extend system life cycle and ROI. Maximize every investment in your company’s infrastructure, and other hardware lasts longer. Enhance user satisfaction. A high visibility process makes the control system a greater asset to your business. Increase performance of controlled systems (e.g. HVAC, electrical, and security). Systems cycle on and off as necessary. Consistent early resolution of potential issues ensures smooth operation. Achieve technological advancements. Recommended hardware and software upgrades keep your building automation system current. Is BAS Maintenance Really Important? If you don’t see your BAS equipment manufacturers listed above, contact us to see how we can help. Every contract customer receives opportunities and recommendations to upgrade their system. This guarantees you keep pace with technology and system developments. It also helps extend the useful life of the BAS system while maximizing ROI. For more information on scheduled building automation maintenance plans, contact us today.